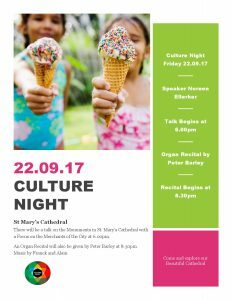 Cultural events will be taking place nationwide this Friday night, 22nd September, to celebrate Culture Night 2017. LPOF is delighted to be involved again this year, and has organised two recitals for the occasion. The first recital will take place at St. John’s Cathedral from 7PM to 7:30PM. Cathedral organist, Bernadette Kiely, will perform some organ favourites, including Bach’s Toccata and Fugue in D minor and Widor’s Toccata from Symphony no. 5. This concert will be preceded by a talk on the Cathedral’s stained glass windows at 6:30PM. Admission free, all welcome! 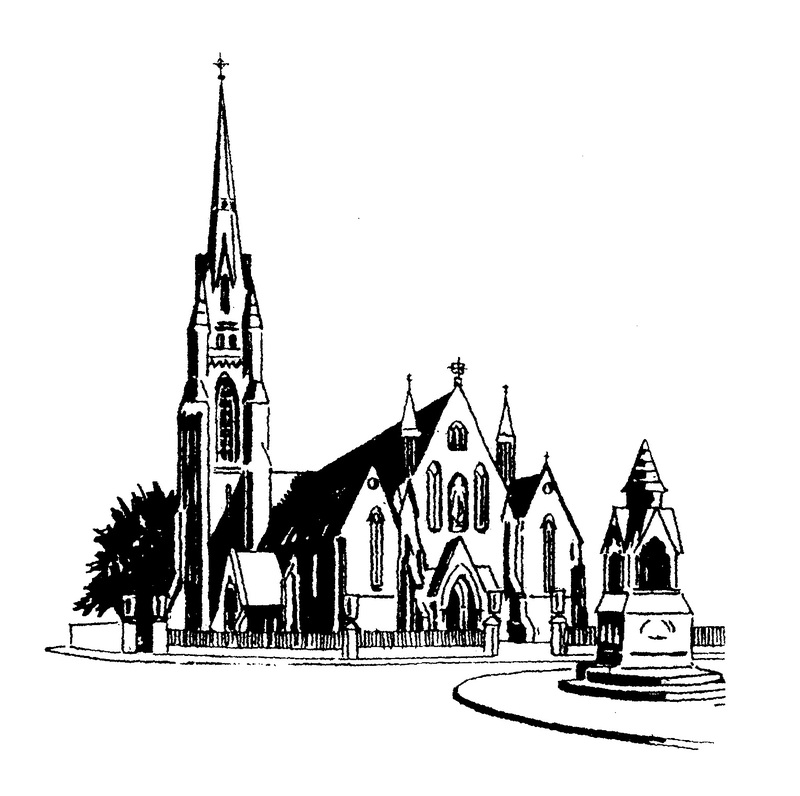 The second recital will take place at St. Mary’s Cathedral, Bridge Street from 8:30PM – 9PM. 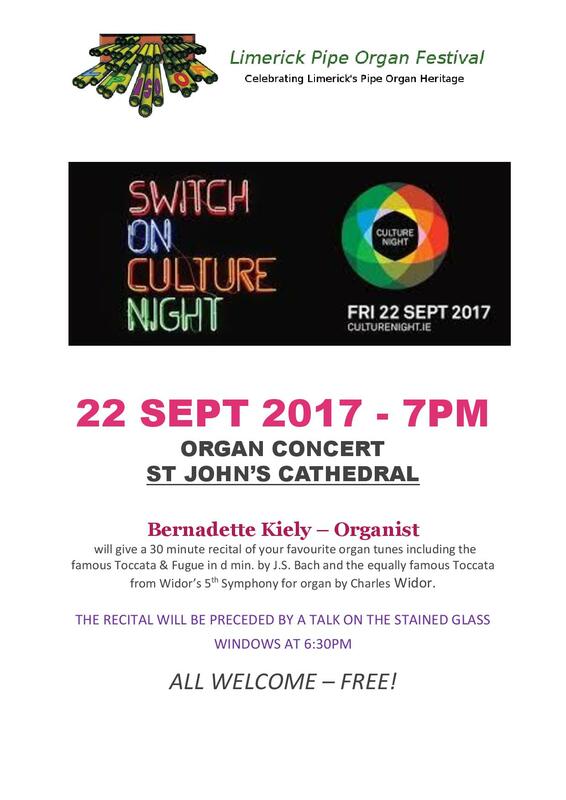 Peter Barley, Cathedral Organist, will perform music by French composers César Franck and Jehan Alain, both renowned for their organ music. 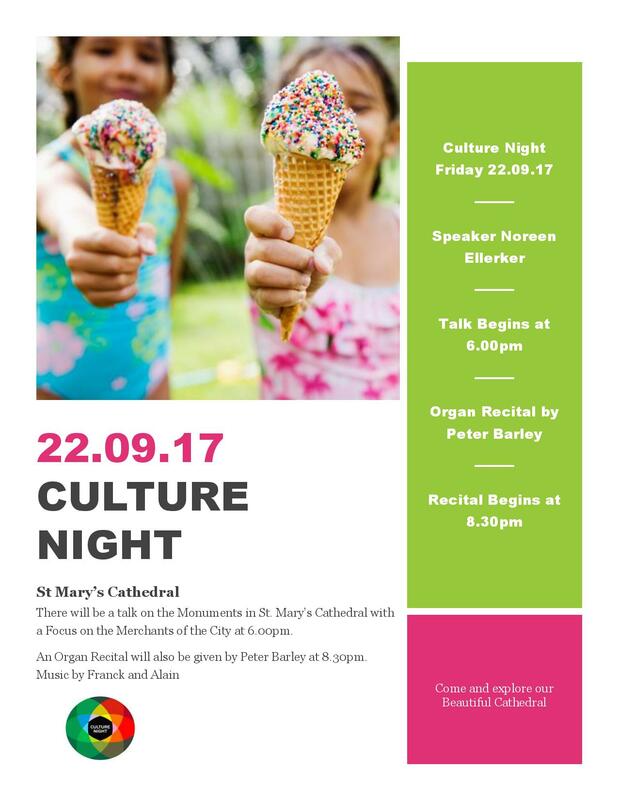 St. Mary’s will celebrate its 850th birthday in 2018, so do come along to see what both this Limerick landmark building and Limerick Pipe Organ Festival have to offer!